Get the best upholstery cleaning offer in the Hackney by calling 020 8050 2865 or request a quote by using our get a quote form. Our team of people who specialize in upholstery cleaning that covers the districts and areas within the borough of Hackney are the best choice when it comes to cleaning your furniture. All of our teams in this part of London are equipped with special steam cleaning machines that will make every piece of upholstered furniture you have look like it did when you bought it. If you want to get one of our teams at the best possible price, the best thing you could do it call - 020 8050 2865 and ask our office representatives about any current deals that we might have going on in Hackney or book more than one service to get a discount for your upholstery cleaning session. We guarantee the best prices for upholstery cleaning in Hackney either way, so just call and we'll make sure that you get them. We always offer the lowest possible price and try to get you a team at the time which is most convenient for you. 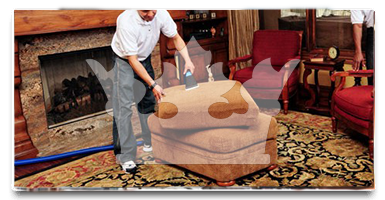 All of our associates specialize in performing a thorough upholstery cleaning that leaves your furniture spotless. At such low prices, you won't be able to find any other company that will perform the job so fast and so reliably. Royal Cleaning is one of the companies known throughout the Hackney and we have an impeccable record of customer satisfaction. We use our own upholstery cleaning detergents which are at no additional fee, which saves you even more and when you take into consideration that we only use the best detergents, you can be sure that your furniture will be getting the best treatment possible. Everyone on our staff is really knowledgeable, skilled and experienced and as friendly as our upholstery cleaners are, we always make sure that they are insured, police checked and vetted before we send them to our customer's properties. Don't forget the number of the best upholstery cleaning agency in the Hackney - 020 8050 2865. All of our upholstery cleaning jobs come with our famous 200% guarantee, which in other words means that if you're not absolutely satisfied with the job we did, we'll send another team to get the problematic areas taken care of. The upholstery cleaning we can do for you is by far the best you could get in the Hackney. If you're on this page, you are just one step away from booking the service at the lowest prices. No other company offers such a great value as we do. If your sofas or any other upholstered type of furniture has stains on it, upholstery cleaning by professionals is the only way you are guaranteed to get it clean. 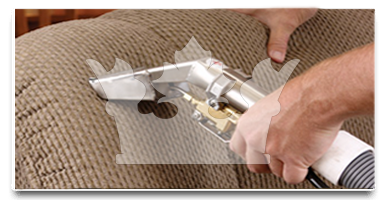 Companies like Royal Cleaning perform steam upholstery cleaning, which is the best type and if you live in Hackney I guarantee you that Royal Cleaning will give you the best price for this.